Being partnered with Capitol Fishing Tackle Company, America's Oldest Tackle Shop est. 1897. As well as being the only fishing shop in Manhattan, it just seemed there was a void New Yorker's were missing. Besides being able to fish from the shoreline, there was no fishing boat to depart out of Manhattan in many years, until now.. The Capitol Princess is unlike any vessel in New York Harbor. She was specifically designed to be an elite super cruiser - not only to be one of the fastest, but one of the most stable as well. With her certified 150 passenger capacity and her two monstrous 12 cylinder Detroit Diesel engines, she can effortlessly cruise to the best fishing grounds around New York Bight. After the last refitting on the Capitol Princess she was given polished teak floors, a stern located full bar and a spacious top open air deck with sectional rattan furniture. For fishing she's been outfitted with the absolute latest fish finding and navigation equipment from Garmin and Furuno. 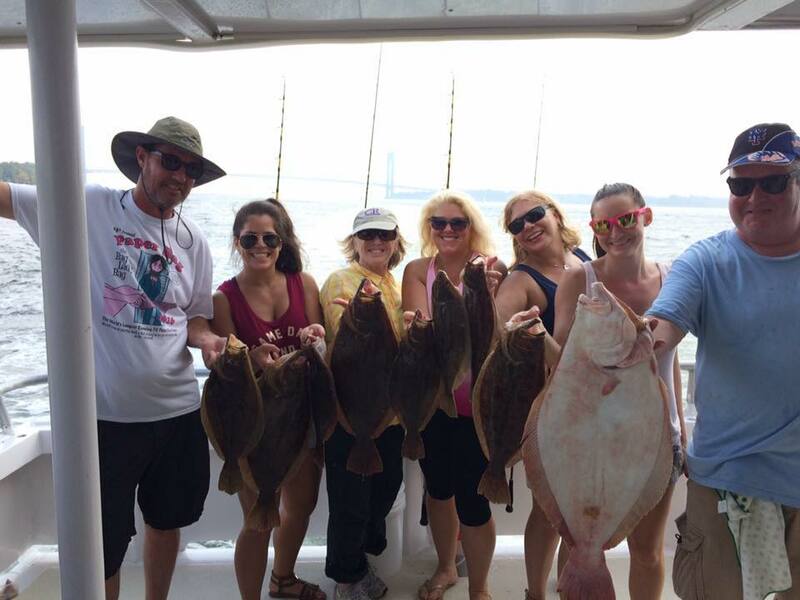 With this state-of-the-art technology and over 100 years of combined experience between our Captains, we'll make sure you have the best time fishing New York Harbor. Whether you're here for a fluke trip, striped bass trip or whole boat charter, we guarantee you to have an amazing time out on the water with us! Need a gift card? Click link below.